Dana Markos Events; Event Design and Floral Styling: A New Years Eve Wedding!!! New year, New beginnings, and for some a new life together. 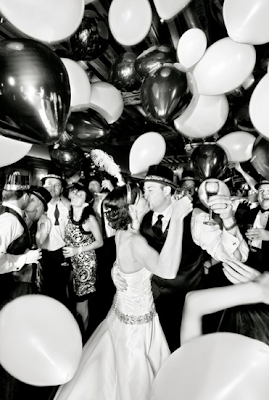 When the ball drops and the clock strikes 12:00 and all those new year resolutions are being made, there cannot be a more romantic way to ring in a new year than with a celebration of married and vowing to love your significant other for a lifetime! 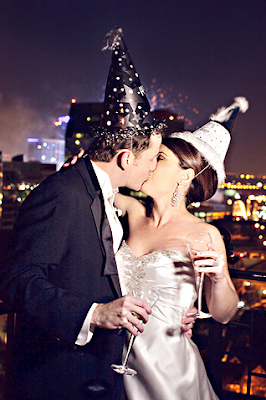 Planning a New Year’s wedding is a unique and special idea for couples that want to do something different for their big day. 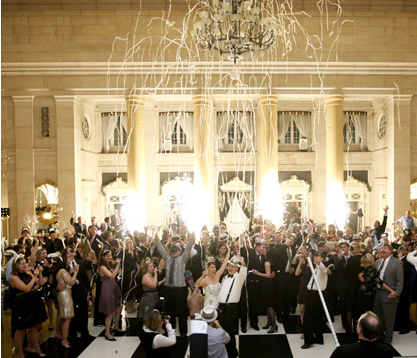 There are many different ways to plan and decorate your wedding so that it has a special new years vibe. New Years eve colors are typically black and silver or gold and silver so try to stick to this color pallet when picking out your table decor’ and decorations. If you feel the need for some more color try adding in dark Purples or dark reds for a rich feeling that is still very festive. 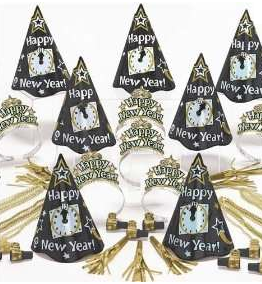 The Decorations for your new years bash will make for a festive atmosphere. When you think about New Years you think about glitter, party hats, noise makers, confetti, and the silly glasses that display the year across your eyes, these are all things that you could incorporate into your wedding. Try placing candles and confetti on the tables with your centerpieces, place balloons, white lights or even glittery snowflakes throughout your venue for a winter, new years feeling. You could place a large clock somewhere to countdown to the New Year with your guests, or have a large TV brought out to watch the ball drop! Streamers and confetti could be released as the clock strikes 12:00 for an unexpected surprise to guests. 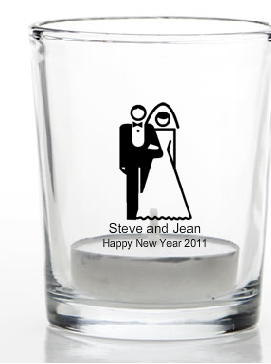 The favors at your wedding should reflect the theme. 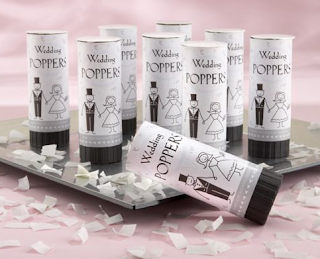 Give your guests mini bottles of champagne with personal labels, party hats or tubes of confetti that they can open at midnight! You could also give them a CD with the greatest hits from the past year with a personal label or fortune cookies with a new years fortune inside. Another idea is to give them a personalized glass with the date and year on it like the one displayed below. No matter what you decided on, your New Years Eve wedding will be a unique and special occasion that everyone will always remember! Just think with every New Year you will have something extra special to celebrate.